Great Convention. Great to reunite with fellow Liberals from across the land. We witnessed team with a head of steam, and a real Leader on a roll. Justin Trudeau's speech was fantastic, and captured all the right elements. The spirit and mood of the Convention was one of excitement and preparation. The Liberal Party is recharged and ready for the next campaign, and ready to help elect Justin Trudeau the next Prime Minister of Canada! While pundits and polticos continue to digest the implications of Justin Trudeau's recent tactical masterwork - the 'firing' of all (former) Liberal Senators, the politics of the move is even more interesting. The Harper Conservatives had intended on beginning the new year attempting to build some economic credibility for the Prime Minister - who had spent much of 2013 under seige regarding the PMO-Senate Scandal. It was their hope that attack ads coupled with a massive "Action Plan" ad campaign, and a PR offensive aimed at situating Harper as the "master of the economy" (regardless of the doldrums the economy happens to actually be in) would help bring the PM back in the polls. The NDP was also looking to make up ground, building on the accolades Mulcair earned during the last Commons session. Political circles were wondering what the Liberal Team would bring in the New Year. Few thought anything as bold or impactful as the removal of half the Liberal Caucus was in the works. The announcement dominated the airwaves and internet - not only in the political news, but in the general news cycle as well. Mr. Trudeau - the new leader of a renewed Liberal Party - appeared strong, credible, bold, and Prime Ministerial in his approach, contrasted with PM Harper - who had talked about Senate reform for over 20 years (dating back to his Reform Party strategist days), including 8 years where he had the reigns of power and the ability to act. That really IS the clear contrast: Fresh, new, bold ideas from Trudeau, vs. the tired old ideas of Harper. The willingness - a very liberal trait - to try something new, and the boldness to see it through. Whether it be a discussion of official legalization of cannabis, or a balanced view on Canadian resources, or the Senate matter, Mr. Trudeau has shown the ability to look at issues with fresh eyes, and a very forward-thinking perspective. In the case of the Senate, many pundits believe that Mr. Harper never really intended on reforming anything, but the Senate did serve his party as an effective 'demon' or 'whipping boy'. The "Reform the Senate" rallying cry was a great way to rally Conservative supporters to the party's cause(s). Legal experts have long been clear that the 'elected Senate' strategy the Conservatives espouse was doomed to rejection by Provinces, and even the Courts, and Conservative strategists would clearly have known this. The thing is, political reality, and the rules of Parliament have never really dissuaded this brand of Conservatives from their ideological infatuations. So, one can safely muse that the Harper Conservatives full well know their Senate position is destined for 10-15 years of Constitutional wrangling, which would stir up all sorts of demons - including that of Quebec Separation. Of course, with their penchant for thinking only of themselves, and their current political gains (Canada's National Debt is another good example of this), they really couldn't care less. Caught off guard, without the usual talking points, the morning of the Liberal announcement, many Conservatives grasped at straws - accusing the Liberal Leader of 'insulating' himself against findings by the Senate spending watchdog (coming in the next few months). Of course these very same Conservatives failed to contemplate the reality that the Conservative Majority in the Senate is far more likely to have a much larger number of 'issues' with spending habits. They also overlook the fact that the most brazen examples of spending improprieties have been the ones which raised the budget office and RCMP investigations and Senate audits. One other 'little' tidbit Conservatives overlook: Stephen Harper personally is responsible for the 59 Senators he has appointed. Justin Trudeau, meanwhile, has never appointed any, and it's been almost a decade since any Liberal Prime Minister has appointed anyone to the Red Chamber. When the facts play out, and all the dust clears, the reality is that Stephen Harper talked about Senate Reform for over 20 years, and had 8 years to act on it (choosing to dump the question on the Supreme Court in the last year), while Justin Trudeau brought forward an elegant, effective, and simple plan less than a year after assuming the leadership of the Liberal Party of Canada. That bold new vision is something Mr. Harper is going to have a very tough time fighting in the next election. I believe Quebec will abandon the NDP in favour of the LPC. Mr. Mulcair isn't their kind of leader, Mr. Trudeau is - Justin walks like he talks and he talks like a Canadian. There is a false confidence within the NDP. In 1988 the NDP achieved a record number of seats under Mr. Broadbent, in the next election in 1993 under Ms. McLaughlin they lost party status due to lack of seats. I say they learned nothing and are doomed to repeat that history. Ms. McLaughlin was no Mr. Broadbent and Mr. Mulcair without any doubt is no Mr. Layton. The Neo-NDP alienate much of their traditional base kissing separatist ('behind') with such things like the Sherbrooke Declaration and their tardiness in opposing the proposed Quebec Charter of Values. The only way to get rid of the Harper Cons is by increasing Mr. Trudeau's broad support and then making sure those people get out on e-day to vote LPC. A vote for the NDP will be a vote for status quo not change. They have peaked with no room to grow, only shrink. For the first time in history a federal party looks capable of going from 3rd party to governing party. I look forward to being a part of this positive and fun moment in history. I invite people to join me under the Big Red Tent, we have room for all respectful people, including those with minority opinions. Go towww.liberal.ca and sign up now! Dan is a long time human rights activist specializing in labour issues. He joined the LPC following the NDP defeat of the Martin minority government that unnecessarily cost Canada such great legislation as the Kelowna Accord. In 2008 Dan was the proud LPC candidate in the BC riding of Pitt Meadows, Maple Ridge, Mission. Pandering for “ethnic” votes appears to be a full time hobby of many Canadian politicians – and often it leaves the New Canadian (or visible minority) communities confused and perplexed. The parties’ policies often contradict the glad-handing, event-attending, samosa and egg-roll munching public visages of their multicultural-vote-getting-MP proxies. Parties still attempt to use the old-school method of appeasing so-called “community leaders” to try to win swaths of “ethnics” – even if that party’s actual policies are detrimental to the very group they are reaching out to. Nowhere is this issue playing itself out more dramatically than the recent moves in Quebec to ban the wearing of religious headgear in public places. Three politically key minority communities – of interest to all parties as potential electoral ‘game-changers’ in many urban/suburban ridings – are the targets of this clearly racist policy: Sikh, Jewish, and Muslim Canadians. Recent cases of discrimination against youth of Muslim and Sikh religious backgrounds have drawn public attention to the matter. Certainly the Prime Minister would stand against policies which promote fear and xenophobia? Perhaps Mr. Harper’s party’s historical stance on such issues precludes them from such ‘lofty’ and selfless ideals, but what about the Leader of the Official Opposition? Certainly Mr. Mulcair’s NDP would seize this opportunity to point out Emperor Harper’s lack of clothes? Social justice matters are supposedly key parts of NDP policy, but perhaps they threw that part out along with the definition of their party during their last national convention? Nothing but the proverbial ‘crickets’ from the parties representing the two largest groups of MPs in Parliament. Not even ‘token’ sympathy from their ‘visibly ethnic’ MPs of Sikh, Muslim, or Jewish descent. Only ONE national political Leader stood up for the offended minorities. Mr. Trudeau wasn’t just speaking his own convictions, but reflecting values of his party from before the days of his father’s recognition of multiculturalism as a key component of Canadian society. He was also reflecting a strong desire to protect basic Charter rights – fundamental human rights. To say the proposed Quebec policies (with multi-party backing) are hurtful to minorities is an understatement. The very identity of some very religious citizens is being challenged. Their right to worship as they please – without impacting anyone around them – is clearly being attacked, in what is being touted as an issue of creating an “equal” society. Proponents claim the policy will ensure no-one is singled out, or allowed to influence others with the symbols of their religion. But, what if the religion is symbolic in it’s very nature? What if the symbols of the religion define the very person wearing them? Denying the symbols to these believers is denial of the right to practice their religion freely. Worse, this policy attracts all the haters and racists who have been chomping at the ‘bit’ to practice their intolerance. So why would the Harper Conservatives have nothing to say about this matter? One has to look into that party’s history to understand. The precursor to the Conservative Party – the Reform Party – was the most (and only) outspoken party when it came to the issue of Sikhs wearing turbans in the RCMP, and in Legion Halls in mainly rural Western ridings. ”In the 1990s when the issue at hand was whether Sikh Mounties should be allowed to wear turbans. The most vocal opposition to that proposal came from Alberta and the Reform Party” (Toronto Star, Sept. 3rd, 2013). Another matter is at play: Jason Kenney – self-described “Minister of Curry in a Hurry” – is also one of the Conservative Party’s pretenders to the Harper throne. Party leadership contenders have already been critical of Kenney’s attempted bridge-building with “very ethnics” (since many of them have little hope – or care – to do so themselves). Harper is not likely to do anything to assist Kenney in his quest to take his job. Looking into the very basis of ‘conservative’ movements worldwide, most politically astute individuals would understand that conservative movements don’t typically stand up for minorities – quite the opposite. The ideological support of minorities and human rights is typically a ‘liberal’ pursuit, while conservative movements tend to be more concerned with, and related to, the building of empires and colonies – and tend to reflect those colonial mindsets towards ethnic minorities, particularly of the ‘visible’ variety. So whither the ‘liberal’ parties in Canada? We know the Federal Liberal Party and Justin Trudeau have come out squarely on the side of the minority groups in this matter. But what about the NDP? Why has there been no outrage from the NDP on this matter? A party founded on principles of social justice should surely speak out on this matter. So why nothing? Why is Mulcair silent? The fact is, the NDP is immersed in a bigger dilemma than that of Harper’s party. While the Conservatives have identified their strongly conservative supporter base, and basically campaign to pull only that vote (while dissuading others from voting), the NDP has seen a shift of their support – particularly their MP base – to Quebec. More than half of Mulcair’s MPs are from Quebec, and the NDP hopes to retain those seats (many in rural, more ‘conservative’ Quebec) as a ‘base’ of their own. Given the meteoric rise and decline of many political movements in Quebec, this may not be the wisest strategy, but the Mulcair NDP is sticking to it. For the sole purpose of political gain the NDP is willing to abandon Canadian ethnic minorities. Tommy Douglas must be rolling over in his grave right about now. Certainly on the ground many NDP supporters – even key campaign workers – are upset. In the ROC (‘rest of Canada’) NDP stalwarts are shaking their heads at the Mulcair decision. This is not the first decision NDP core members have scratched their heads’ about. The sellout by the NDP for perceived Quebec votes now includes the sellout of New Canadians, and the very founding principles of the party. The Liberal Party of Canada – a party which could only take one stand on this matter – has clearly come out on the side of Charter Rights. This is in agreement with the history of the party as the party which opened Canada to most new immigration; the party that brought the vote to women; the party which created the concept of multiculturalism – an ‘experiment’ that is celebrated worldwide; and the party which gave birth to Canada’s Charter of Rights and Freedoms. Mr. Trudeau did his father – and party forefathers – proud when he stood up for New Canadians and religious minorities. His is not a wonton political decision, but a decision steeped in 100s of years of Liberal and ‘liberal’ philosophy. A decision that reflects the presence of the spirit of the father in the son – something that will be remembered and celebrated in precisely the minority communities other parties are attempting to curry favour with. The Liberals even shared a formal press release to announce their commitment (see below) to human rights. Few political leaders in recent Canadian history have shown the backbone Mr. Trudeau has on this matter, and for this he must be given the credit he deserves. Liberal leader Justin Trudeau has slammed the Government of Quebec for proposing new rules which would ban religious headwear worn by doctors, teachers, and others with salaries paid by the public sector. It is astonishing that such a proposal to drastically curtail religious and individual rights could emerge in Canada in 2013. It is also astonishing that federal political leaders other than Justin Trudeau, notably Stephen Harper and Thomas Mulcair, have greeted this outrage with a cowardly silence. When the basic rights and freedoms of Canadians are put at risk, all federal political leaders should openly and visibly speak out for justice and a free society. As the newly appointed Liberal spokesperson for immigration, multiculturalism and seniors, I am deeply committed to the principles of Canadian religious and personal freedoms as espoused by Justin Trudeau. According to Statistics Canada, the city of Markham, which includes my riding of Markham-Unionville, is Canada’s most diverse community. I know from talking to my constituents of all ethnicities and religions that they would be shocked by the proposal that Sikh doctors should not be allowed to wear their turbans, nor Muslims their Hijabs or Jews their yarmulkes. Indeed, as one who has lived more than half my life in the province of Quebec, I know that the great majority of Quebecers are also open-minded and welcoming. Such backward and draconian measures have no place in twenty-first century Canada. It is true that this ban on headwear in Quebec is unlikely to come into effect. The province currently has a minority government, and it is unlikely that the opposition parties would support such extreme action. Moreover, the rights of all Canadians are protected by the Canadian and Quebec Charters of Rights and Freedoms. In the unlikely event that the Quebec government’s proposal became law, it would likely be ruled unconstitutional by the courts. Nevertheless, even if this measure is unlikely to come into effect, I believe that it is incumbent on all federal political leaders to speak out against extremism and to lead public opinion on matters of freedom and individual rights. Federal political parties cannot be neutral when the freedoms of Canadians are attacked. The silence of Stephen Harper and Thomas Mulcair on this issue is deafening. *The author is Liberal Member of Parliament for Markham-Unionville and the Liberal spokesperson for immigration, multiculturalism and seniors. Office of the Hon. John McCallum, P.C., M.P. Ralph Goodale discusses how the Conservatives tried to bully and subvert the work of the Federal Electoral Boundaries Commission. Thanks to Canada's justice system, they were thwarted and fined. Over-shadowed by public outrage about that secret and yet-unexplained $90,000 deal between Stephen Harper's Chief of Staff and Mike Duffy, another perverse Conservative scheme seems to have evaporated this past week with little fanfare. That is their attempt to interfere with proposed new federal electoral boundaries in Saskatchewan. Triggered automatically by the most recent Census, the process to re-draw the boundaries of this province's 14 federal ridings has been underway for just over a year. As provided by law, it's in the hands of an independent, arm's length, non-partisan, quasi-judicial commission. The chairman of the commission, Mr. Justice Ron Mills of the Court of Queen's Bench, was selected for this task by the Chief Justice of Saskatchewan. The two other commission members, University of Saskatchewan professor-emeritus Dr. John Courtney and SARM president Dave Marit, were chosen by the Speaker of the House of Commons. Collectively their job is to devise constituencies that are manageable geographically and reasonably equal in population. As much as possible, the new boundaries are supposed to respect historical patterns and reflect communities of common interest. Effective representation is their only goal. The commission sought initial public input, produced a preliminary map, held extensive public hearings across the province, revised their map based on those hearings, and then submitted that second draft to Parliament. It was tabled in the House of Commons last January. That's when all hell broke loose. The Conservatives discovered they were dealing with a commission with both backbone and principles -- a commission determined not to bend to partisan pressures, but to produce a fair and honest map that accurately reflects Saskatchewan's changing realities. In that spirit, the commission proposed six ridings that are predominantly rural (one more than at present), five urban constituencies (three in Saskatoon and two in Regina, instead of none at present), and three seats that are mixed rural/urban blends (Regina-Qu'Appelle, Moose Jaw-Lake Centre-Lanigan and Prince Albert). That result is eminently reasonable. But Conservatives are politically opposed to ANY distinctly urban ridings in Saskatchewan. They want to keep the old map pretty much as-is. To force their will, they resorted to the most devious means to discredit the commission's work -- including thousands of anonymous, robocalls spreading disinformation about redistribution and attacking the values of commission members. For such illegal behaviour, the Conservative Party was slapped with a $78,000 fine! In the end, the Parliamentary Committee suggested a few technical adjustments here and there - for the commission's consideration – but it did NOT reject the commission's fundamentally-sound overall approach. And the commission will now have the final say. So Conservative tactics of harassment, abuse and intimidation have failed! A Vote for the BC Governing Coalition Today? Scott Ross makes a good point on his blog. 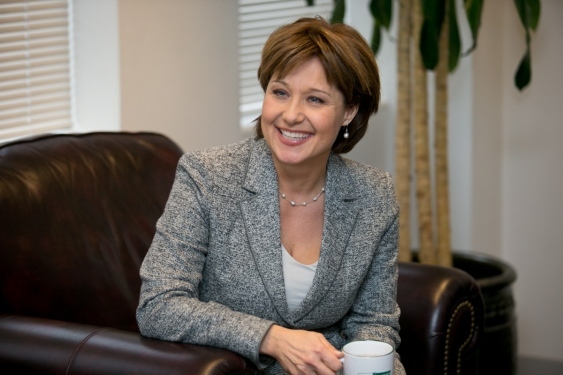 No matter how great Christy Clark has been, she is really up against it. Even closing the gap with the NDP in the last few days is a monumental achievement (and she should be lauded for that - even accomplished as it was without the help of many in the "coalition"). Winning beyond 15 seats, in the political morass created by Gordon Campbell (and some of his caucus colleagues - who continue to work against Christy), will indeed be an effort worthy of praise. The BC Liberal Party is really the "BC Center-Right Coalition". That coalition has been strained for years. Hard right-wingers of the old Reform Party "Guard" variety formed their own "BC Conservative Party". Deals which were surely made during (and after) the last leadership were attempts to keep the governing coalition together. Some of those deals apparently involved the types of people who had to surround Ms. Clark. Many true Liberals were indeed upset with those conditions. Many felt that Ms. Clark did not stand and kick the Reformers out, or didn't go far enough policy-wise. One could argue that she did make some strong moves. Moves like standing up to Alberta on the pipeline situation. Christy went as far as she possibly could without having federal support cut off (and far as she could without being reigned in by he former Harper PMO "advisory team"). For a good - real - Liberal/liberal in BC, what are the real choices? One could "park" a vote with the Greens, but that could really be a waste in most cases. One could consider the NDP too. However, with a leader who has been found to be doing some pretty questionable stuff in the Leg, a history of absolutely horrible economic performance, and some rather nefarious left-wing connections, this is no "moderate" Roy Romanow-type NDP. A good liberal can't really fathom parking a vote with either of the obvious alternatives. Besides, the BC Liberals have been stalwarts of an economy that has come under fire, but survived. Sure the Harper Government's poor economic choices have made it hard for the Provinces. Certainly the Harper housing bubble is going to have a HUGE impact on one of BC's top employers (construction). Still, considering all that, this Province has remained one of Canada's top growth areas. WITHOUT pipeline jobs. The likely result of today's election is indeed an NDP victory. Probably a slim majority. Still, we hope that Christy will stay on to purge the party of those who don't adhere to centrist principles, and lead the charge to replace the NDP when they inevitably crash the economy, in what will surely be a 3-way race in 2017. Social Conservatives in the BCLiberal caucus will begin to move over to the BC Conservatives in the months ahead. Some fiscal conservatives with progressive social values MAY join them. BC may wake up to find Dix in charge, but it likely won't last much more than a term. Liberals must be patient, and focus on building a strong "center" in preparation for the 3-way race that is sure to evolve in 2017. To position for that eventuality, the BCLiberals should focus on attacking the right wing, while preparing to be a fiscally responsible, SOCIALLY responsible alternative to the NDP. Christy "unleashed" may be exactly what the BCLiberals need to that end. I don't put much value in polls, as they are often created with some sort of slant in mind (by most organizations)... Still, it's great to see the recent trends in polling in Canadian federal politics. Justin Trudeau is seeing growth in popularity. This new Angus Reid poll indicates 45% of Canadians feel he will be Prime Minister. That's a really strong number. Typically only supporters will respond in such a way, with other party partisans responding in the negative. Good news for Liberals, however, as Mr. Trudeau says, there is plenty of hard work ahead for the party of the Center.